Getting work done on your roof can be stressful. There’s the obvious financial investment, as well as the prospect of having your home under construction for an unknown amount of time. Most homeowners aren’t roofing experts, so they look for knowledgeable roofing contractors to get the job done the right way. With so many roofing contractors to choose from, how can you tell if the company is reputable or a charlatan on the make? Without expert knowledge, it can be hard to even know what you’re looking for or what to watch out for when hiring a roofing company. Most people know friends or family members who’ve had contracting nightmares happen in the past. How can you avoid the same fate? Within this blog series, Hiring a Roofing Contractor, we’ll be offering you a comprehensive guide on how to find the right roofing contractor to work on your home or building. In this article (Part One), we’ll go over the most important questions you should ask a potential roofer before you sign on the dotted line. In Part Two, we’ll tell you the best way to go about finding a reputable roofing company. In Part Three, we’ll give you our tips on how to choose the right roofing company to work on your home. Before you sign a contract with a roofing company, take the time to go over some key questions. Reputable roofers will be happy to take the time to answer any questions you may have. If a roofing contractor is evasive about answering your questions or pushes you to sign a contract before you’re ready – it’s an immediate red flag that they aren’t the right company for you. When contacting or meeting potential roofing contractors, you’ll want to start with the basics. You want to learn a little more about their business, their experience with the work, and ensure they have all of the necessary paperwork in place to make the project run smoothly. Think of the following as your “qualifying” questions: if a roofing contractor doesn’t satisfy you on any of these points, it’s time to move on in your search. Look for roofing contractors who have been in business for a while and have experience on the type of work you need done. You may also want to ask for details about the crew who will be working on your house and their experience too. In most areas, roofing contractors have to be licensed either by the state, county, or city they work in. Double check what the rules are in your area, and then check-in that the contractor you’re thinking of hiring has the right paperwork in place. Accidents happen, even when working with the best roofing contractors. If a roofer suffers an injury while working on your property, you don’t want to end up on the hook for their medical bills. 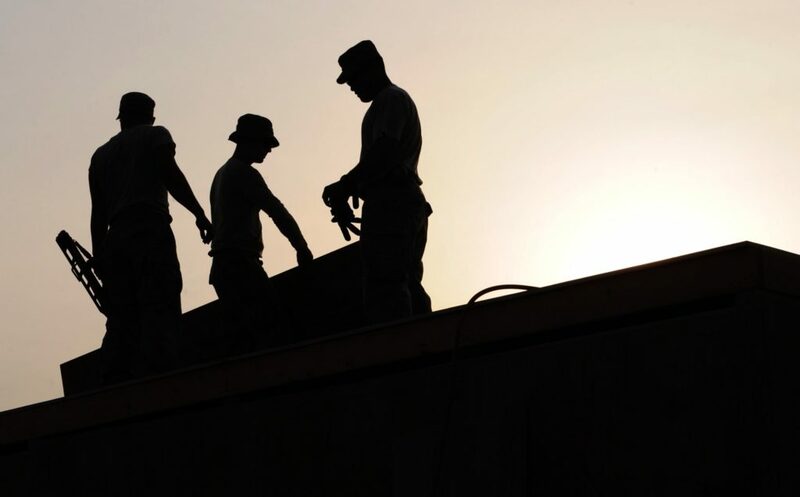 Worker’s compensation insurance is a legal requirement that all roofing companies must have. Treat anyone who is evasive when asked this question with extreme caution. 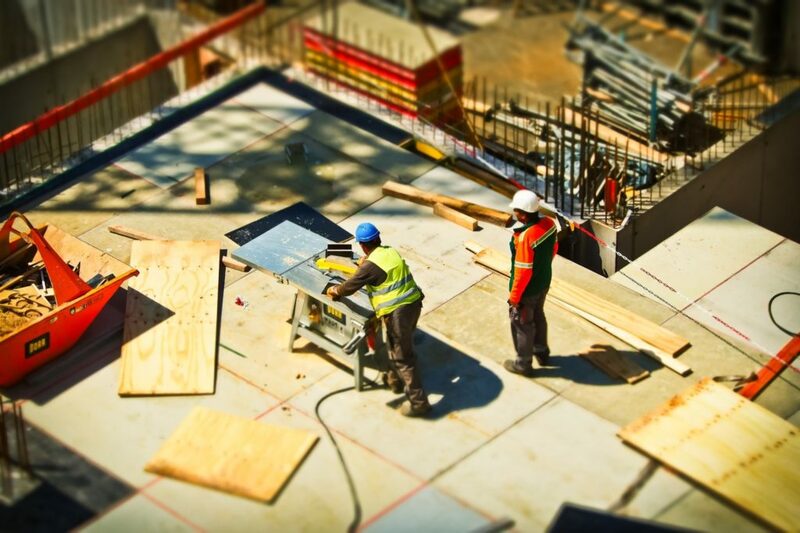 If your property is damaged during roofing construction, you want to make sure you’re covered. Your homeowner’s insurance may not always cover this damage, so make sure your roofing contractor has the right insurance in place. You’ve asked your initial questions, and found 2-3 roofing companies who seem like legitimate and qualified contractors. What’s next? You’ll want to ask some specific questions about how they plan to carry out the work. In general, you want to cover key details such as: how do they handle poor weather conditions? How will they leave the site each day? If they’re working in the winter, will they take any special measures to deal with the cold? The goal here is to reassure yourself that your roofing contractor is experienced and has solid plans for any circumstance. The answer here should always be yes, and this should never show up as a hidden charge. Some roofing contractors may try to sell you on avoiding this step and simply shingle over the old roof. However – if a roofer hasn’t looked under the old shingles, they aren’t able to know what damage may be under there. Your roofer should be prepared to properly dispose of any roofing material that’s being torn off as part of the included work. They should also have a plan in place to protect your gutters, decks, patios, and landscaping from any debris or potential damage. This is a small piece of aluminum that goes under the shingles to offer further protection from various weather conditions. The metal helps direct runoff water into your gutters and away from your foundation. Not installing this can put you at risk for water damage down the road. Some disreputable roofers may skip this step if you don’t ask about it, so it’s important to make sure the company you plan to hire won’t be cutting this corner. The roofer you hire should install all materials in-line with the manufacturer’s requirements. For standard jobs, this is typically four nails per shingle – although this can sometimes be higher. Shingles should also be properly installed using the nail line to make sure they are properly fastened to your roof. It’s important to ensure that shingles are going to be properly installed. Poor shingle installation can quickly cause more issues, including excessive moisture, rook leaks, reduced energy-efficiency, and premature wear and tear. As a roofer begins construction on your roof, they may find damage that wasn’t visible before work was started. For example, the decking beneath your roof may be soft or rotten. You should know and agree with your roofing contractor upfront on what the costs for any additional work may be. You’ll also want to make sure you ask about any specific features your roof may have, such as skylights or chimneys, and check that the roofer has a plan to ensure they’re properly sealed and protected. Once you’ve found a roofing contractor you think you’re happy to work with, it’s time for the final details. Remember – if at any stage you get an answer that raises some red flags, it’s fine to go back to the drawing board and look for a new roofing contractor. You’re trusting a company to work on your home and often making a large financial commitment. You should feel comfortable with all aspects of the job before things get started. ESTIMATE: Will they provide you with a written estimate? PAYMENT: How much, when, and using what method? SCHEDULING: How soon can the work get started? How long will it take? What happens if there are delays? WARRANTY: Will they offer a warranty on the new roof and any materials they’ve used? Picking a roofing professional can be a big job. Remember that it’s worth investing the time up front to save you from costly headaches further down the road. Join us for Part Two of this series for details on how to look for reputable roofing companies from the beginning of your search. A & J Reliable is one of the leading roofing contractors in the tri-state area. We’ve proudly served New York and New Jersey for over 35 years and take pride in each of our roofing services. Our knowledge, expertise, and dedication to quality craftsmanship continue our tradition of installing only the most reliable roofing systems in the industry. For more information about our services or to schedule a FREE roof inspection to learn more about the current condition of your roof, please contact us today.